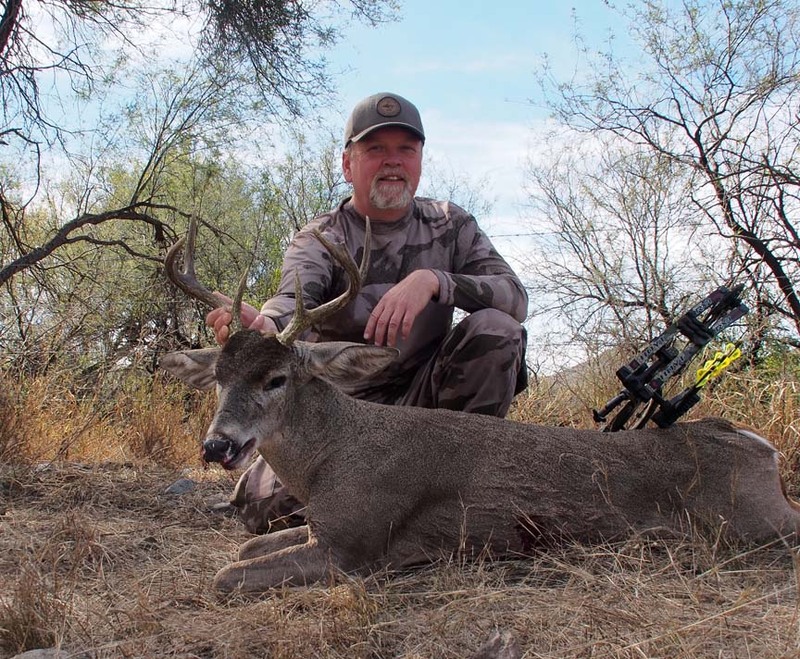 Returned earlier this month from a Coues Deer hunt south of the border. Just now getting around to posting a report. In spite of generally slow action, I'd have to say it was a successful trip. The main technique we used was to sit on cattle ponds (repressors as they call them) and wait all day for the deer to come in to water. I did this same hunt the previous year, and we were seeing 40-100 deer per day coming in to the water holes. But this year, at the same ponds, it was more like 2-6 deer per each all-day sit. The explanation was thought to be that there had been much more rain in the months leading up to the season. And so the deer were getting a lot of their water from the vegetation. It was hard to tell that from looking around, because the landscape looked mostly parched, dusty and dry. 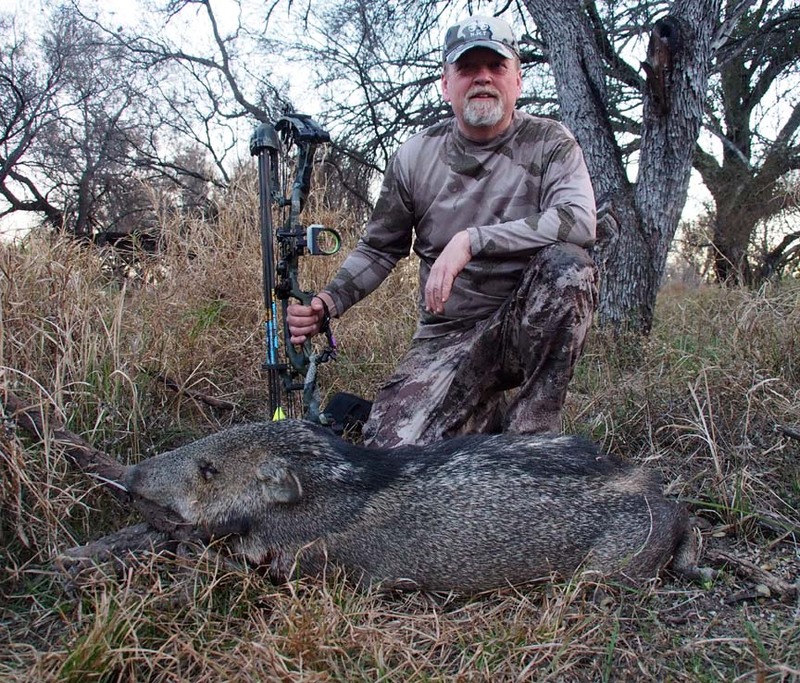 In any case I was able to arrow two bucks and a Javelina in the first week. There's no limit on the number of bucks you can shoot, it's just dependent on how many tags the ranch has been allotted. So I spent the second week waiting for a "monster" but never saw anything bigger than the first two bucks I'd already shot. Here are the pics. This first buck was a good mature one, 4 or 5 years old, but had a total of 5 points broken off (3 of his 4 double split brows, and the two main tines on the left antler). It was very late in the rut and he must have done a lot of fighting. If I was going to shoot another buck, I was looking for one that would at least make P&Y (70 inches net). This one came in on Friday morning and I was lucky enough to make a good shot. Double lunged him and he only made it about 15 yards up the hill. He was mature, probably 4.5 years old, and will net around 75-76 inches. I took a lot of video over the 2 weeks, and will put something together when I get a chance. I actually captured the first buck kill shot on video. Way to go Greg! Very cool. Did you bring any meat home? Mike the hunters and camp crew ate all the tenderloins & backstraps from my two bucks and from a buck the other hunter killed, during the course of our stay. Then we let the resident cowboy have the rest of the meat from our 3 deer. His family uses it for their meat supply. He can turn an entire deer into jerky in about a day. All sliced thin, salted lightly, and then dried on a steel clothesline in the sun. Way to go Greg! Two mature Coues bucks and a Javelina....successful trip and then some! Congrats! Thanks for sharing. Looks very enjoyable. I've had a standing invite to go down there in unit 1, by town of Alpine from a former guide. 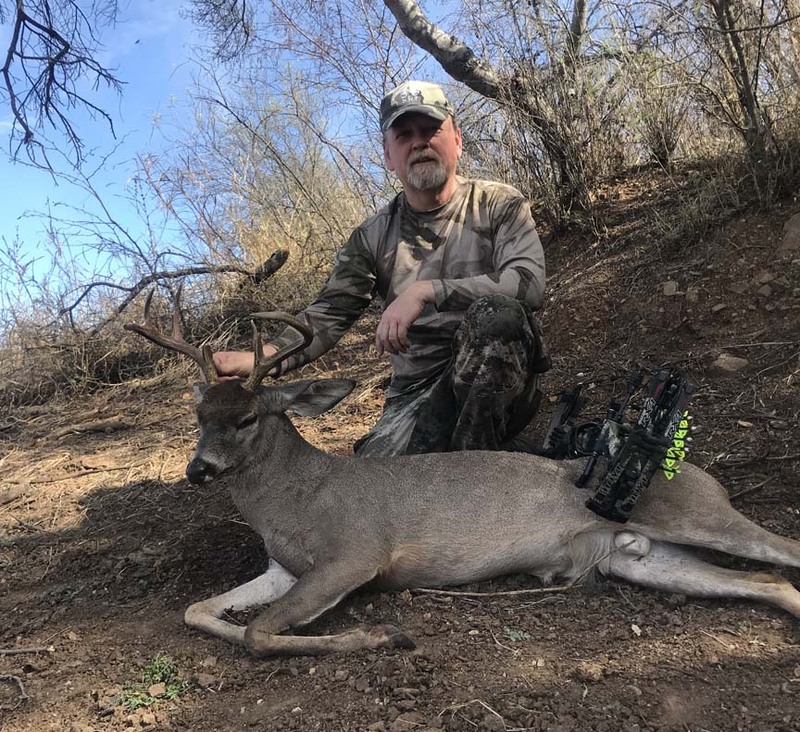 He says there are both coues & mulies to hunt in his spots. May try next year depending on what I draw this year. So far o-fer WY & AZ. Looks like a great trip. Congratulations! !